Uulu was the focus of several behavioral studies and was featured in a published paper about aging animal care at the San Francisco Zoo. She was the center of attention on "snow days." Twice in 2016, 10 tons of snow were blown into her habitat as a treat. More than 6,000 visitors watched her roll and slide around in joy in the snow, the zoo says. 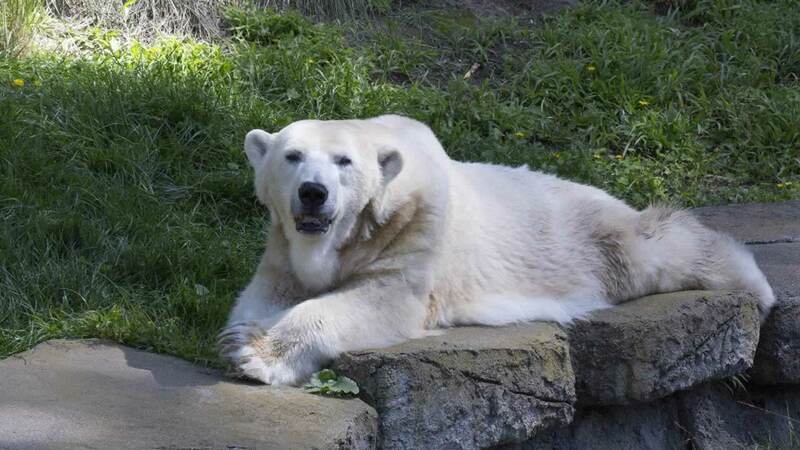 "We are all tremendously saddened by the passing of our polar bear. She was an amazing animal ambassador and helped to educate millions of visitors over the years about polar bear conservation," said Tanya Peterson, President of the San Francisco Zoo & Gardens. "Uulu was well-known by many Zoo guests and she will be missed by all who connected with, and cared for her over the years." Uulu was rescued by the zoo when she was about 3 years old from Churchill, Manitoba, Canada. She was the only polar bear at the SF Zoo.